Bob Baker has a movement. It’s not just some idea he came up with to make money or become famous. It’s a vision to change the world and how the world view artists. He wants to inspire artists and creatives of all types to “express themselves, hone their skills, and share their talents with the world!” That’s a mission and vision worth fighting for. Bob was kind enough to provide immense value to artists everywhere with his free Youtube video series “30 Ways to Become an Empowered Artist.” I’m just doing my part to spread the word about this lofty and empowering creative revolution. You can check out part one here and part two here. In the final part of this three part series, I will give my thoughts on the videos twenty-one through thirty of his Youtube series. Have you ever felt the excitement and thrill of creating and showing your art? The joy and thrill of creation followed by the praise of your fans. You feel like everything is going right for your art career. How often is that enthusiasm followed by a lull. You haven’t created art or had a show in months. You’ve slowed down and are no longer excited about your art. Your feel more like a hobbyist than an artist. The keys to avoiding this wave of ups and downs is consistency and repetition over time. Even if you create amazing work, you need to do it consistently. You must stay at the top of mind with your fans if you want them to remember you and buy your work. This all comes back to immersing yourself in your craft and being prolific. If you are constantly creating and putting it in front of others, people WILL notice. You want to stay in front of people with your message and create more and more. These are key to growing and succeeding as an artist. You must be consistent, you must be persistent, and you must repeat this cycle. That’s not to say you should bombard people with your art. That is the quickest way to put a sour taste in someone’s mouth. You just need to be consistent. If it helps, create a schedule or begin incorporating daily habits into your life. Writing things down will help to create consistency. If you are always creating, sharing and doing events, your audience will grow. Have you ever noticed an artist that seems to come out of nowhere to become an instant success? You never saw them before, but now they are everywhere. They may be new to you, but they have probably been creating and promoting consistently. If you want to be a successful artist, you need to get serious and stay on top of it. 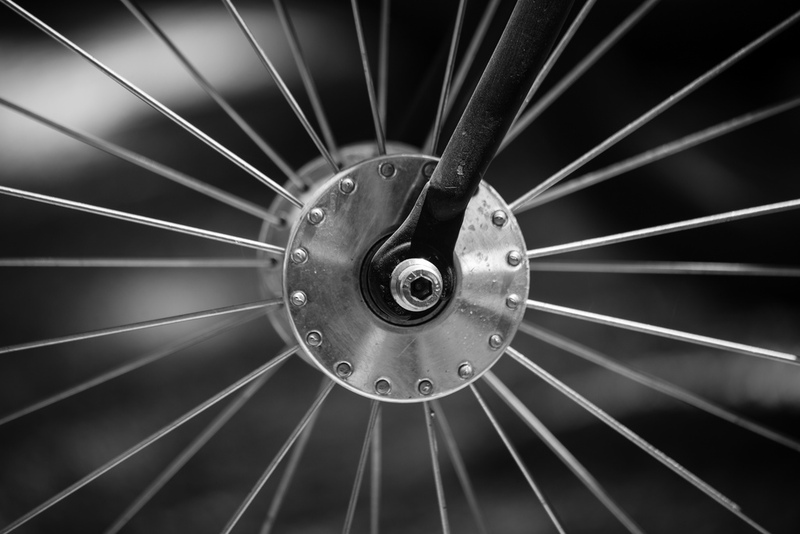 Your online marketing should be structured like a bicycle wheel. Look at the wheel above. Hub – At the center of the wheel is a hub. The hub is like your website. It should be at the center of all your marketing efforts. Spokes – From the hub, you have spokes shooting out towards the tire. Each of these spokes is like a social media platform you can use to market your artwork. They also act as a two way street, with communication back and forth from your website. Tire – The tire is the sum of all your marketing efforts. Separately, your efforts may not be much yet, but add them together, you can build a powerful presence online. You want to make your own website the hub of your online marketing efforts because you have complete and total control of it. Companies like Facebook can shut down your account for any reason they see fit. They can also change their sites so you reach fewer and fewer people. You need to avoid sending people directly to your social media pages and send them to your website instead. If you focus your efforts on your own site, you won’t have that problem. Creating valuable and relevant content on your own site allows you to market that content to each social media platform, while also pointing people back to your site. The key is to cater your message to the specific audience on each platform, while also enticing them to come back to your site. A person on Facebook is different from a person on Twitter who is different from a person on Pinterest. Each social media site has its own audience and interests, so you need to cater your marketing to that audience. This lets people know you understand them, which creates stronger relationships. If this all sounds like a lot of work, it can be. My suggestion would be to concentrate on using the sites you feel most comfortable with and mastering those first. There is no point in jumping from one site to the next if your message becomes muddled. Take your time and figure out what works, then move on. If you remember one thing from this section it is this: use your own website as a hub for creating content and always point your audience back to it. This ensures you are always in control and everyone is receiving the same great content. If you take a look back in time, artists only had one way to communicate with their audience. They had to rely on big donors or patrons to get their work out to the masses. Take a look at Renaissance. The Medici’s funded the greatest artists of the day: Leonardo da Vinci and Michaelangelo. This era lasted all the way into the end of the last century. Big record labels and radio stations still funded and controlled every musician’s outreach. Fine artists had to rely on commissions and galleries to get their work seen. Communication between artists and their fans was a one way street. This all changed with the advent and explosion of the internet. Communication became a two way street. It has become incredibly easy to find artists like yourselves and communicate with them directly. Your fans can e-mail you, leave a message on your Facebook page, or send you a Tweet. The internet has allowed artists to thrive without the help of some large entity controlling their every move. The key is to be accessible and respond openly and honestly with your fans. 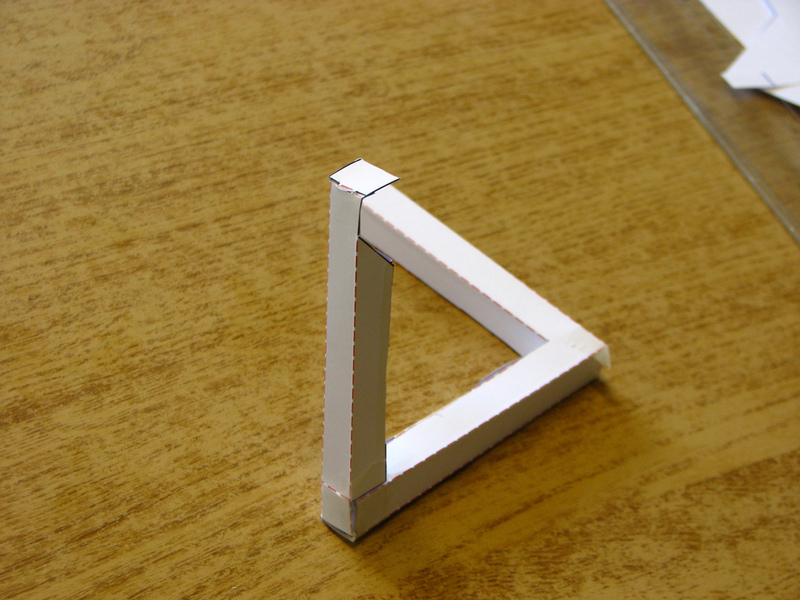 The third point in the fan engagement triangle is fans communicating with each other. You need to turn your community of followers into a Tribe. This has been happening for a while, just look at the Deadheads who followed the Grateful Dead wherever they toured, or the Parrotheads who all dress up in Hawaiian shirts and parrot hats. These communities organically formed around the bands and became a signature for anyone who was a fan. The key is to build a community of people who are all fans of your work, but who also get to know each other. These people will not only get to know you, but they will also form strong relationships with each other. This engagement can be seen in Facebook groups, forums, and even in person. Some examples are Hal Elrod’s Miracle morning Facebook group or Scott Dinsmore’s Live Your Legend Meetup groups. You want to build groups that help spread your message and also allow people who are like minded to gather together. In order to create a passionate audience, you must strengthen each point in the fan engagement triangle. You need to communicate with your fans better, be open and accessible with them, and build communities where they can interact with each other. If you can get your fans to create, vote on, and share your work, you will create an extremely engaged audience. Have you ever been discouraged or frustrated with the progress you are making in selling your art or getting people to come out to your show? Many artists don’t tell their audience what to do when sharing their work. Everything you do should be followed by a call to action (CTA). A call to action is simply telling your audience to do something when they read your blog post, watch your Youtube video, or listen to your podcast. Are you using a call to action? If you aren’t, you need to begin asking people for their support. Unless your art is incredibly unique or noteworthy, you can’t just put your work out there and expect people to share it. People are more easily distracted than ever, so you need to tell them what to do while you have their attention. Blog Post – Ask your readers to share the post with someone that might find it interesting. This helps introduce your work to a very specific audience. Youtube Video – Ask your viewers to subscribe to the channel or post it on social media. This helps you gain new and repeat viewers. Podcast – Ask your listeners to subscribe to your podcast and leave a rating. This helps increase your exposure. In order for your work to gain traction, you need your fans to help you out. The best way to do this is to reach out and ask people for their help. By asking people to share your work, your audience increases exponentially. So the next time you are ready to publish your post or artwork, ask yourself “What do I want people to do?” Including this in everything you do will get you more engagement. Have you ever received an event invitation for someone’s show and realized it’s missing some critical information? Maybe they don’t tell you the time of the event, the location, or the price of admission. There’s just something missing. Have you ever done this yourself? If you want people to help you, you need to make it easy for them. We’ve all gotten those event invites, where we want to go, but we don’t know exactly where to go or when it is. You may even ignore it all together because it takes too much effort to figure it out. Don’t make this mistake. Don’t make people jump through hoops to figure out what you want from them. It all comes down to the basics we learned as kids: who, what, when, where, why, and how. These things are more relevant than ever when trying to gain support. As I’ve said over and over in this series, people have short attention spans and need to be told exactly what to do. If you cover these points, it will be extremely easy for your fans to help you. The next time you send out an invitation, link, or request, ask yourself “Am I providing all the information people need?” Go through the 5 W’s and make sure you’ve covered each one. 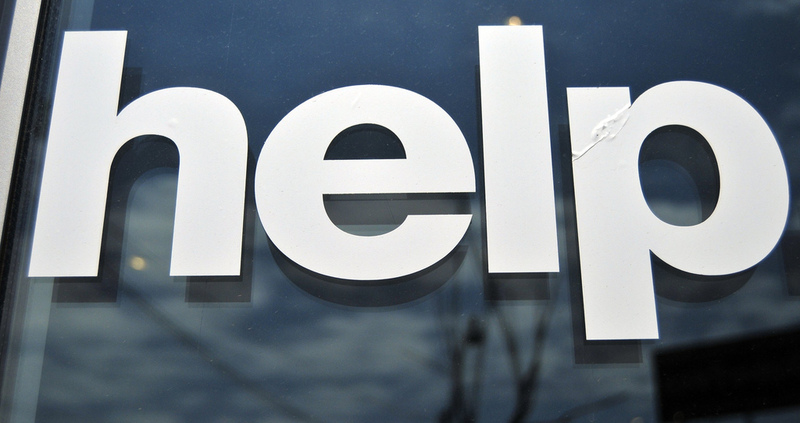 Provide the tools, steps, or links that make it easy on your audience to help you. Whether you want someone to subscribe to your blog, purchase your art, or attend your event, you need to provide all the necessary details. If you provide this information, you will make it easy for people to help you, and you will see significant improvements. 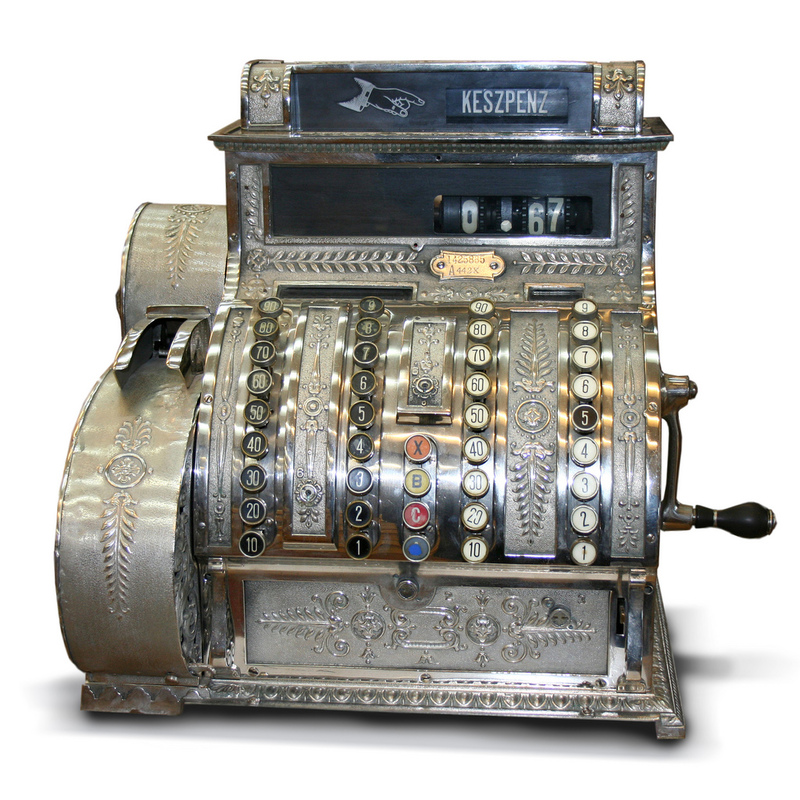 If your sales are stagnating, it might be time to shake things up. You need to make offers to your audience. There are a few ways to do this. Two incentives that have been proven to work across many fields, not just art, are getting people to buy now or adding value to your offer. In order to get people to buy now, you must create scarcity. This can be done by offering your art for a limited time or offering a limited quantity. You don’t want to be dishonest about these things. If you are offering limited editions of your art, truly make them limited. If there is a high demand after you finish selling your limited editions, make sure you emphasize your next art work. This pushes people to buy now instead of sitting on the fence. If you stick to your guns, you will get a surge at the beginning and end of your offer periods. The second way to incentivize your audience to spend more is by adding value to your offers. Instead of trying to sell your art for less, try adding bonuses to your original offer. If you are a visual artist, try adding an unreleased print to your original offer. If you are a musician, add bonus tracks to your CD. You want to add things things that aren’t available to the general public to increase value of your offering. This creates an abundance mindset instead of a scarcity mindset. One last thing you can do, which does work, but I don’t recommend, is offering sales or discounts. Sure Discounts may increase sales, but people will now be expecting a discount before they buy any more of your work. Discounts devalue your own work. I’m not saying you can’t do it, you definitely can. I am just advocating the other two methods above it. Before you go and ask for the sale, I have a few more tips. You need to remind people more than once about your work. People often get distracted, and buying art is usually not first on their list of things to do. You can’t just tell people once and let it be. That being said, don’t bombard your audience either. A good way to do it is make your offer three times, in the beginning, in the middle, and at the end of your offer periods. This way, you are giving a constant reminder that isn’t overbearing. The last and most important tip I have is get over your squeamishness for selling. If you can’t ask people who love your art to buy it, no one will. Sharing and selling your work is a crucial part of becoming a successful artist. If there is one thing you should learn about marketing your art online, it’s that building an email list is the most important tool to reach your fans. No other medium puts you in direct contact with fans like an email list. When you send out tweets, how many people see it? How many people interact with your Facebook posts? It is almost guaranteed the number is less than those who will open your emails. For Mailchimp, the email provider I use, the average email open rate for artists is around 28%. I would be amazed if you could find anyone who has 28% of their Twitter followers read a tweet. Facebook is even worse. Facebook’s organic reach for smaller pages is around 6% as of February 2014. The truth is, even after all these years, email is still the best way to reach your audience. You may be thinking to yourself “Email? Really?” That’s exactly what I thought. Isn’t email old fashioned and spammy? This line of thinking is completely wrong. When someone signs up to your email list, they are giving you permission to contact them. They WANT to stay in the loop. Not only will you be keeping your fans up to date, but you are also building a more direct relationship with them. Compare that to the generic tweets and Facebook posts that flood your feeds, and you can see why people prefer email. How exactly do you get people to sign up for your email list? That’s a very good question. The answer is, give stuff away. 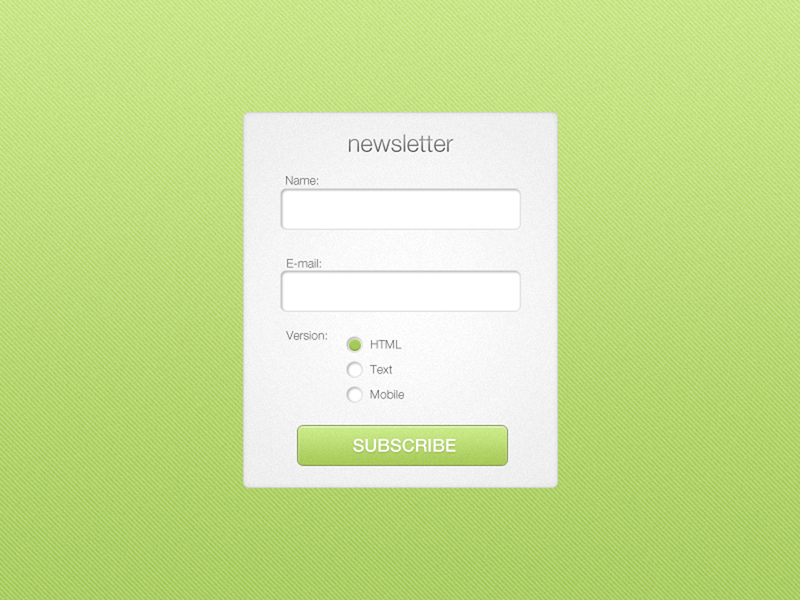 People who sign up for your newsletter want to keep up with your work. Why not incentivize them to sweeten the deal? All you need is their name and email address. In return you can send them an unreleased song, a painting tutorial, or a behind the scenes video of you practicing your craft. The key is to give away something of VALUE. You want to give them something that is closely related to your work. Don’t like the terms newsletter or email? Spice it up a bit. Call it something else like the VIP Lounge, Private Club, or Fan Community. This grabs your reader’s attention and gives it some excitement. There are two styles to emails that people like to use. One is the short and sweet, the other is the long and detailed. The short and sweet email gets straight to the point. It gives a quick blurb summarizing why you sent the email and points the reader to your website to buy or interact with your content. The long and detailed email provides as much information as possible, but keeps it all relevant. They engage the reader and keep them reading til the end. Neither method is inherently better than the other. That’s why you have to test it out. Don’t let others dictate the length of your email. See which one works for you and your audience. A few points to close out this very important section. Don’t manually add people to an email. Use a service like Mailchimp, which offers signups for up to 5,000 people for FREE. This is the easiest way to keep in contact with people you meet offline. Get people to sign up wherever you can. Whether you send one email per week or one email per month, try to do it regularly. This keeps you on the top of people’s minds. This is the most important part of having an email list. You don’t want to constantly blast people asking them to buy. Provide them with value, and they will be more than happy to buy. Many people, not just artists, have trouble figuring out what they should be doing at any given time. There are so many tasks to accomplish on our daily to-do lists from emails, to blog posts, to phone calls, and everything in-between. At times, it feels like you are just a hamster spinning its wheel. In order to overcome this, you need to attach your tasks to specific and measurable goals. If you set a specific number and deadline for your goals, you will be able to tell if you’ve achieved it. Instead of saying “I want to get more subscribers to my website,” say “I want 100 new subscribers by the end of the month.” These specific and concrete goals will lead you to more specific and measurable action. It also helps to write your goals down so it is ingrained in your mind. You will also be able to check off goals as you complete them. You may be asking yourself “How do I know what to put on my to-do list?” The better question is “Why am I doing this?” Once you know the Big Picture WHY, it becomes much easier to set your goals. Just remember from my earlier point, Don’t Get Sidetracked by HOW Something Will Get Done, it’s about the why. Ask yourself “How will my work touch other people?” or “What inspires me to do this?” If you remember from Four Reasons People Create, finding the connection with your audience is a big reason we create. Do you create so people will have a good time, to uplift them through story, to make people feel something, or to feel a greater purpose? If you can find your purpose, it will be infinitely easier to set goals based on that purpose. 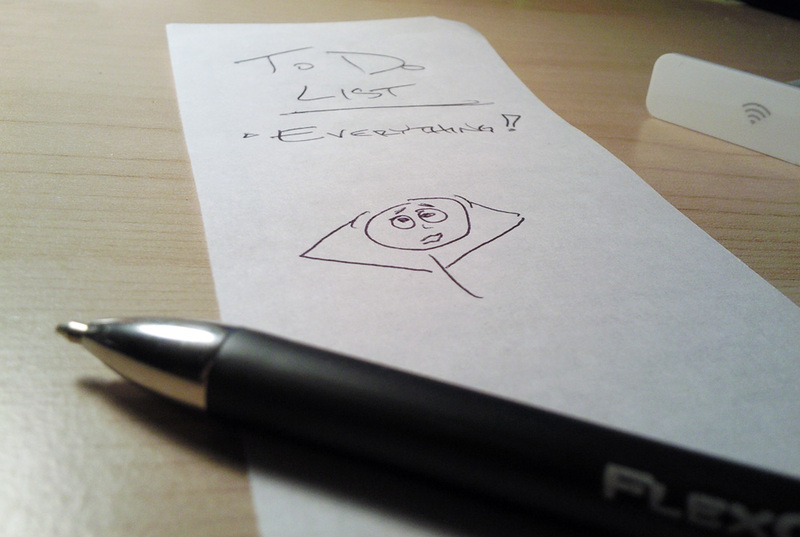 One thing you want to consider when creating a to-do list is knowing what to put on it. When creating your list, don’t put projects on it. Projects usually take a longer time to complete and are made of many different parts. Instead, break your project into actionable steps. For instance, your project might be creating your blog. 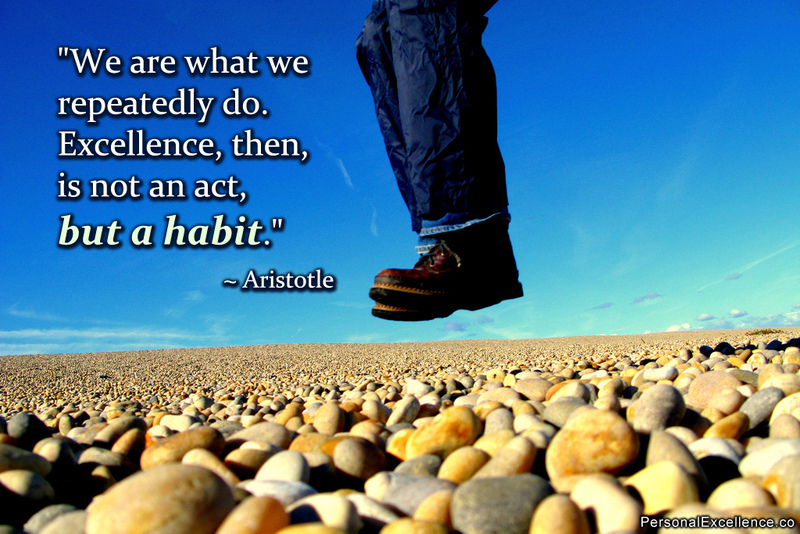 Instead of putting that on your to-do list, break it into action steps. Put things like finding a web host for your site, deciding what kind of management platform you want to use, and finding a theme you like on your list. Breaking your to-do list into actionable steps makes it easier to manage and allows you to see progress. Something you want to remember when setting your goals is, they will evolve. You need to be flexible and open-minded about your goals and projects. They may end up being very different from what you originally planned. You need to adjust when necessary. If you are having trouble with your setting goals, remember why you create art, and base your goals on that. Put specific actions based on those goals on your to-do list, do these actions daily, and be flexible with your goals. Do you feel like you’ve tried everything to grow your business and make money from your art? One thing that is often overlooked when searching for revenue sources is teaching. Teaching your craft can be extremely fulfilling. 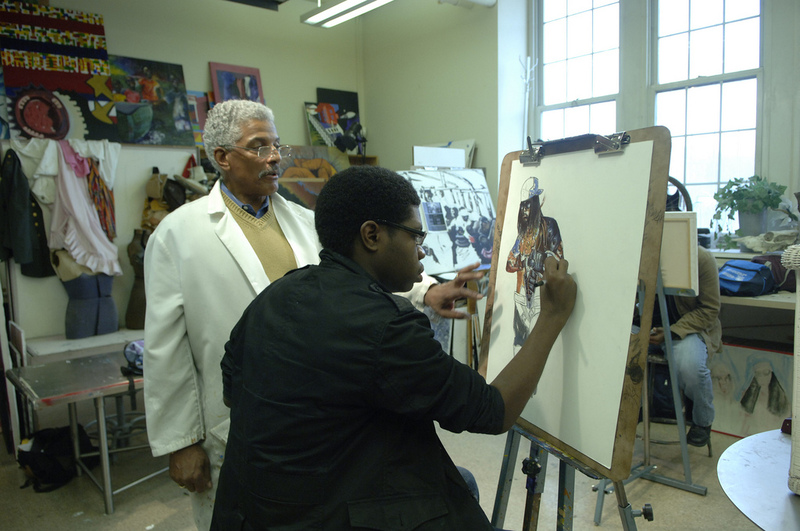 Here are three reasons why teaching can be beneficial to your artistic career. Teaching up and comers in your craft builds your influence as an artist. The more you help people, the more people respect you. You shouldn’t try to horde all your knowledge. Even if you don’t think you are knowledgeable enough to help people, you should do it anyways. We all take for granted what we know and overestimate how much others know. If you can help inspire just one person, it is worth doing. You never know how much of an impact you can have on a person. Teaching is a great way to attract more people to you artwork. Try creating a Youtube video showing your thought process behind a work or showing some of the techniques you used to create a certain piece. You can also try speaking at a public forum and talking about what you’ve done. The method you use to teach is not important, the fact that you are teaching is. You never know where your biggest fans can come from. Teaching is a great way to bring in people who may not know about your work. These students can become fans and can help support you. Giving away value is one of the best ways to grow your audience. Teaching is not only beneficial as a way to inspire others and grow your audience, it is also a potential revenue stream. You may remember from an earlier point that creating multiple revenue streams is a key to your success, and people often overlook teaching as a way to make money. Students are not only more willing to buy your work, but they are also more willing to pay to learn from you. Think about it this way. Would you rather learn from some random artist, or an artist you trust and whose art you love? The answer to me seems clear. 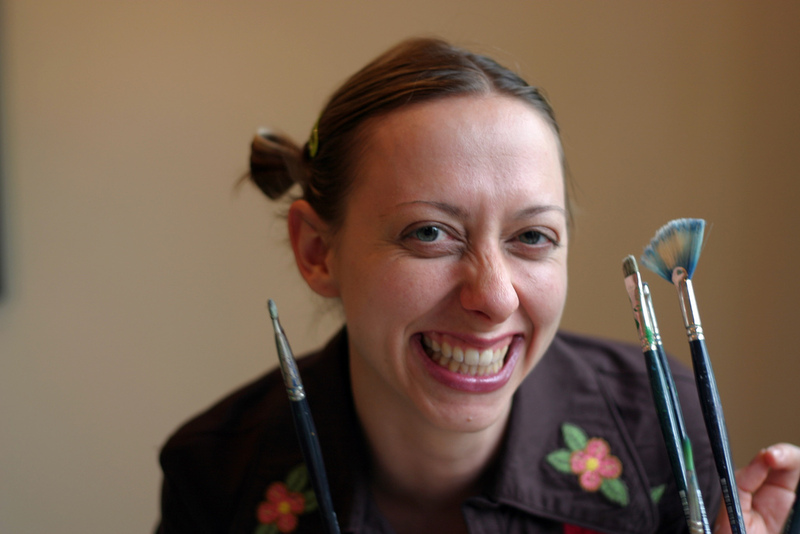 For a good example of how teaching can help you, let’s take a look at Bob’s example: Flora Bowley. Flora started out with a workshop. Her audience grew large enough from these workshops to land her a book deal. The exposure and demand for these classes allowed her to launch on-line courses so she could help more people. If this doesn’t inspire you to teach, I don’t know what will. If you teach, you can help inspire others, grow your audience, and make money from doing it. This will all help support your craft and allow you to make money doing what you love. The last, and most important, key to becoming a successful artist is having fun. The reason you got into art in the first place is you had fun doing it. You should never let anything get in the way of doing that. This list may seem daunting, but it’s all in the name of the joy you get when creating your art. Find that joy so you can share it with everyone around you. At some point in the process, you are bound to run into hurdles and obstacles. You will get tired of the daily routine. You might think “Ugh, I have to write another blog post,” or “I don’t wan’t to make another video.” Don’t worry, these are all natural reactions. No one said being a successful artist would be easy. Every now and then, we need to remind ourselves not to take things so seriously. We need to just work through the process. Other times, you will feel tired, stagnant, and unproductive. These are the perfect times to take a break from your work. It’s easy to become overwhelmed or overworked. Take the time to reflect and tap back into WHY you love creating art. In the grand scheme of things, you will realize your worries are not that big of a deal. You get to do what you love and share that gift with others. The best part about being an artist is, you are able to dictate everything you do. You decide the subject matter, you decide when you work, you decide how to create, you are in control of your own success or failure. Sure, you need people to buy your work, but that is just a side benefit of creating. The most important thing you can do as an artist is take care of yourself first. Enjoy the craft, the storytelling, the emotions, and the sharing that comes with being an artist. Don’t take things for granted. You are lucky to be able to do what you love. If you can’t find the joy, fun, and enjoyment of creating art, then don’t. Otherwise, go out there, have fun and let your creativity shine. Wax enthusiastic and you’ll very soon feel so. A being causes his own feelings. The greatest joy there is in life is creating. You’ve done it! You’ve finally made it through all the videos. If you missed my review of the first twenty videos check them out here: 1-10 and 11-20. 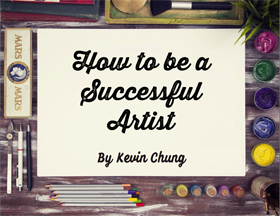 There may be a lot to digest in this series, but no one said being a successful artist would be easy. I’ve not only learned a lot by watching Bob Baker’s amazing Empowered Artist series, but I’ve also learned a lot by writing my thoughts about it. Reviewing these videos has allowed me to share my thoughts with the world. It has been a great outlet for allowing me to explore some of the knowledge I have on the subject. Believe it or not, this is just the tip of the iceberg. There is so much more we can learn about being a successful artist. If you have anything to add, I encourage you to add your own contributions. Leave a comment below, or send me an e-mail with your thoughts. Everyone has valuable information we can use to succeed as artists. As always, if you know of any artists that want to become an empowered and successful artist, share this article with them. To unlock a PDF download of all thirty tips within my How to be a Successful Artist eBook, please subscribe to my marketing tips for artists below. Future articles will include blogging, creating newsletters, tools for tracking your user interactions, what makes a good post, article headlines, site designs that work, and much more. I also plan to explore social media and SEO for those who are ready. Is there anything you wholeheartedly agree or disagree with? Leave it in the comments.